All the caffeine addicts in Hyderabad have spent ages searching for the best coffee in the city. We can assure you that the search ends now! 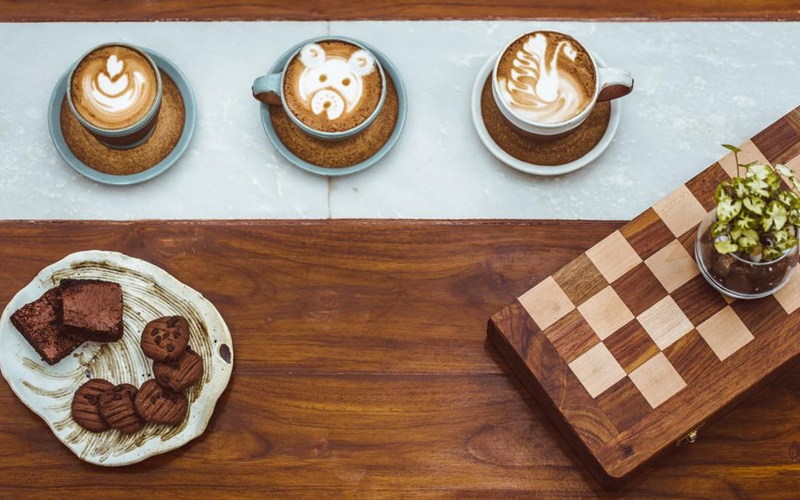 The Roastery Coffee House has won the title and even though it is fairly young, has already earned quite a reputation. Good coffee is not an easy task, as everyone enjoys coffee differently and as always, depending on the choice of beans, the intensity of roasting make each batch of powder unique, making sure no two brews are the same. This new café sources and roasts their coffee from Mandalkhan and Thogarihunckle Estates, which grows at 4000 ft above sea level in Budangiri Hills, with the Arabica and Peaberry left to brew in cold water for almost 14 hours, which then takes away the acidity and the result is a light brew that can be enjoyed at any time of the day. 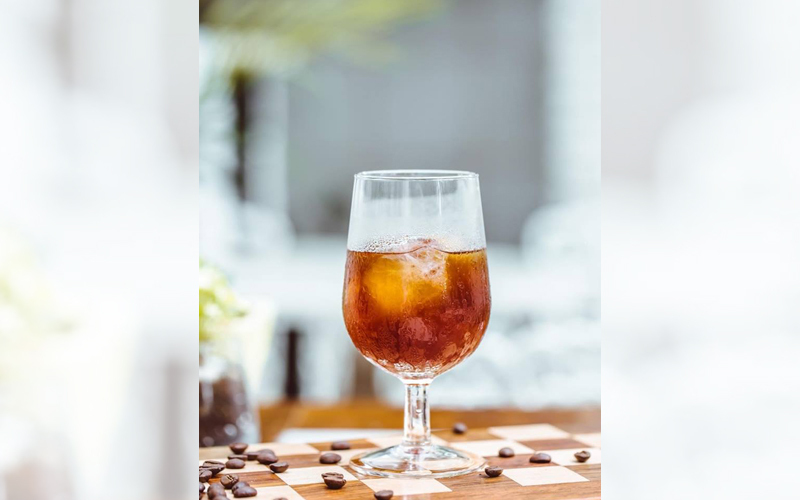 The crowd favorite seems to be the cold brew but there is so much choice and variation that you won’t be able to pick one. The menu also outlines the amount of coffee, milk\foam\cream and water that goes into every different cup of coffee they offer which helps in selecting the perfect coffee for you. Another little touch we love is that all the cutlery is hand-made and brought in from Pondicherry. Accompanying the impressive coffee is delicious food, served fresh, in portions you can’t finish. Ranging from appetizers such as Chicken Wings, Garlic Bread and Onion Rings, to Pastas, Burgers, Sandwiches, Baked goodies and so on, even introducing a new Breakfast Menu, starting 9:30 AM, Roastery has more to offer than you can imagine. Though the place focuses mainly on its artisan coffee, the food and ambience make you want to visit at least once on a daily basis. 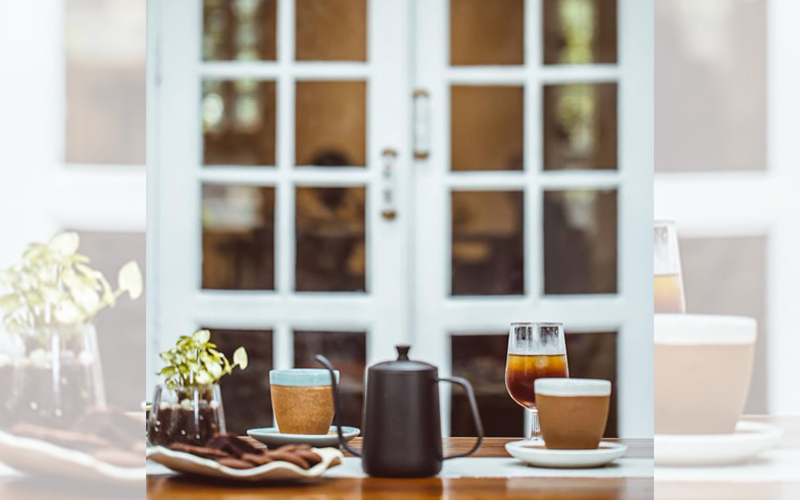 The owners, Nishant and Neha Sinha have been very vocal about their love for coffee and books, pouring their hearts into this picturesque café, making it a bookworms dream. Nishant comes with years of experience in coffee brewing and a quick chat with him is all you need for him to find the perfect blend that suits your palette. Shelves filled with books are scattered throughout and also present is a mini roaster in the café area. Coziness seems to be the mantra, with about 1,500 plants surrounding the beautiful white building, creating a fresh atmosphere other places usually seem to lack. And yes, there are also potted coffee plants, but Nishant doubts that they will yield in Hyderabad weather. You can sit outside amongst the greenery or inside, with the aroma of fresh coffee surrounding you. The entire place is visually pleasing and creates the perfect atmosphere for some peaceful and quiet time alone, sipping on delectable coffee and reading a book.